Description: From 8 inches to3 feet tall. 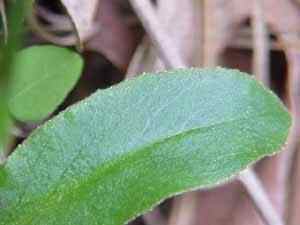 Leaves are oblonged with thw widest part near the tip, margins are wavy or toothed, upper leaves are smaller. 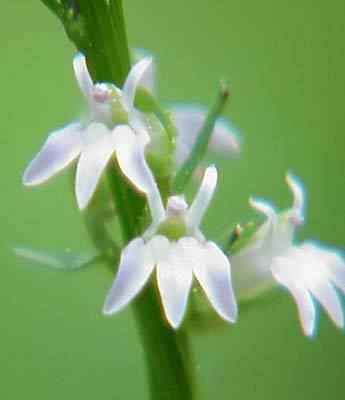 Flowers are small pale blue to white, in a spike with the 2 narrow lobes upper and 3 drooping lobes forming the lip below.